1 to 6 Players, Ages 4 to 7 We are working hard to grow beautiful, fresh, organic vegetables, fruit, herbs and flowers. But sometimes garden pests eat those good things before we do. Can we keep the garden safe by catching all 6 Pests and taking them to the Forest where they belong? 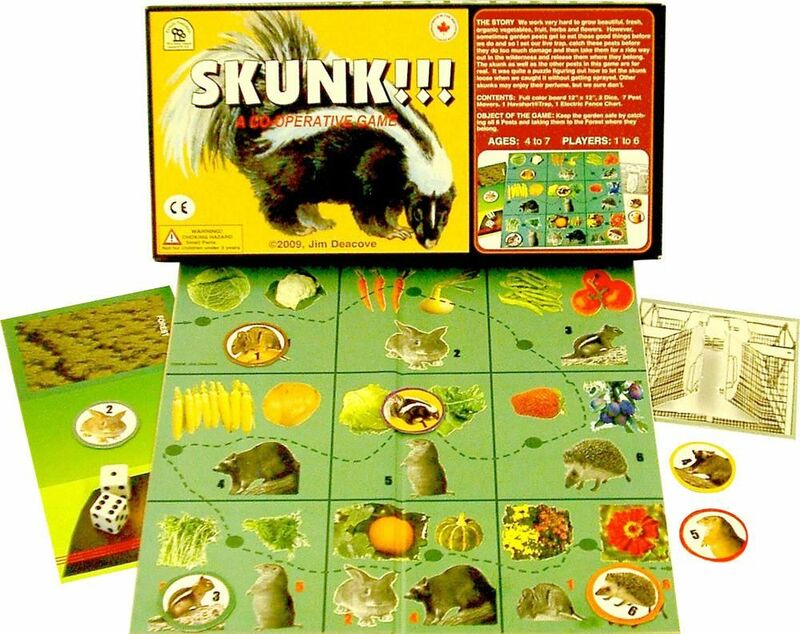 The skunk and other pests in this game are real, from our garden. 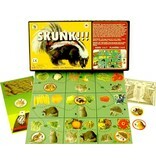 It was quite a puzzle figuring out how to let the skunk loose when we caught it without getting sprayed. Other skunks may enjoy their perfume, but we sure don’t! Includes: 12 x 12″ board, 2 dice, 7 pest movers, 1 Havahart® trap token, 1 electric fence chart, rules.